A doctor in Laeken who sold sick notes for €5 without any medical examination has been fined €9,000 and handed a one-month suspended jail sentence. The conviction comes after an RTBF journalist recorded undercover video footage at the GP's surgery back in 2012. Brussels Criminal Court ruled that the video was admissible evidence - after the doctor claimed it had been unfairly edited - and that it could be corroborated with other patients' statements. 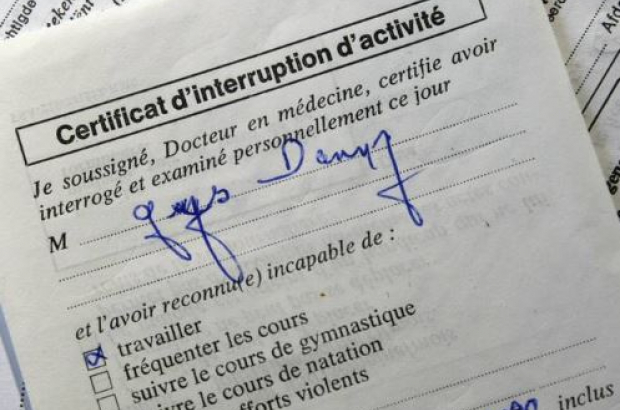 RTBF reports that secretaries at several local schools had become suspicious after they began receiving an abnormally high number of sickness certificates from pupils, signed by the same doctor. Several schools filed a complaint with the College of Physicians, which began disciplinary proceedings and suspended him for a month. The sentence is more severe than that required by the Brussels public prosecutor's office, which had merely argued that the doctor "should be taught a lesson". The judge said the defendant had denied any involvement throughout the trial.